Corn loves the warmth and won’t tolerate frost. While the seeds may be sown directly outside once the soil has warmed up, the safest way to sow is into pots in the protection of a greenhouse, tunnel or cold frame. 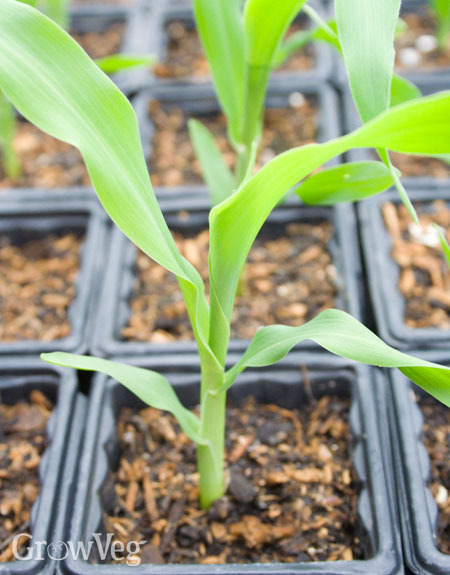 That way you can begin sowing three to four weeks before your last frost date and enjoy a head start on outdoor-sown corn – a huge advantage in shorter growing seasons.